Click on the link above to read the rest of my review of Death Comes for the Archbishop. This morning I had two leftover chicken wings for breakfast. As I ate, I thought about how this chicken would be fueling my activities this morning. It struck me that what I did with my time and energy would be a manifestation of my feelings toward an animal that gave its life to sustain me. I felt a growing responsibility to make good use of this ultimate gift, and a deep appreciation and respect for that chicken and what it had given me. Then I thought of a friend of mine who raises chickens and of all that she must do to keep her chickens healthy. I thought of the time and effort and resources the rancher put into this chicken. I felt gratitude to this person for what they had done to provide for my needs. My thoughts expanded from there quite rapidly. Who and what had, in small ways and large, fed me such that in this very moment I could live and live well and happily? God, my parents, my husband, children, friends, Mrs. Meyette and Mr. Walls, Julie Andrews, the people that made Babette’s Feast, Nathaniel Hawthorne and C. S. Lewis. I thought of Socrates and Nephi and my college crush. I thought of the people that built my house and the people that built my computer and the people that made my clothes. I thought of oxygen and earth and the birds that are singing outside my window right now. And I hoped that at least a few moments of this day would provide a good ROI for them, whether they realize they’ve invested or not. Fulfilling that hope is up to me. So come on, chicken! Let’s go do the world some good! Bat or butterfly: which will you see? Speak. My beauty lies inside of me. There was no room for them in the inn. Now seems like a great time to step out of ourselves and our busy lives for a moment here and there to notice the people around us and to express, not just consider expressing, that we see their beauty. ABC News interview with Lindsey Stirling: backstory on “Shatter Me” and a little on her struggle with depression and eating disorder. The only key: the Light. Recently I had cause to ponder the self-appellation “prisoner of Jesus Christ” (Philemon 1:1). I’ve struggled with this concept before. Perhaps it is because none of us wants to be a prisoner of anything. We want to be in complete control of our lives. Of course, this doesn’t stop us from making ourselves prisoners of addictions, social expectation, political dogmas, materialism, fear, and any number of other things. Perhaps it is because my understanding of Christ is that He makes us free, and I have a hard time calling myself freeman and prisoner in the same breath and by the same source. Today I found this post on the Mormon Tabernacle Choir blog and it sparked a new thought. We refer to the time people spend in prison as time spent “paying their debt to society.” Therefore, a prisoner is one who is paying a debt for a broken law to some entity which has authority to see that the law is upheld. There is also a sense that the prisoner is making recompense to a party that has suffered because of his or her choices. Both of these applications fit our relationship to Jesus Christ. I have had several loved ones spend time in jail. Some have used that time well; others have not. Those who have done well first had to accept responsibility for what they had done, humble themselves and accept that they were there because of their choices, and stop trying to find a way to circumvent the consequences of their actions. Once they let go of their anger, defensiveness, excuse-making, self-pity, resentment they were able to learn and to make the experience one that benefitted themselves and others. Those who would not let go of these things never moved beyond them. This is a lesson for all of us because we are all prisoners. The question is are we at the point where we are willing to experience the odd mix of pain, peace, and joy that comes when we truly begin paying our debt to Christ (a debt, incidentally, that can never really be repaid) or are we “on the outside,” unaware or unwilling to admit that we are still subjecting ourselves to jailers that have no power to open the prison doors for us. with mucus and with Christmas cheer. The angel Gabriel was sent from God unto a city of Galilee, named Nazareth, to a virgin espoused to a man whose name was Joseph, of the house of David; and the virgin’s name was Mary. After posting Silent Night yesterday, today brought a serendipitous encounter with a poem by Pablo Neruda entitled “Keeping Quiet.” It was posted on the Brainpickings website (which I very much enjoy). The recording leaves out a bit of the poem, so follow the link to get the full text, as well as Maria Popova’s post. That it be applied across the board, not simply as a tool to attack or shut down the opposition. That is to say, that we do not while demanding only logical argumentation on the part of the opposition, allow ourselves the luxury of relying on rhetoric or emotion to support our stance. It should go without saying that likewise we do not demand absolute adherence to logical rules while we, ourselves, employ fallacies. That it is understood not to be the sole method of discussion, and certainly not of gaining understanding or knowledge. Along the way, we started buying extra Nativities from artisans around the world. We sold the extras to our interested friends. We thought it would be a small project, but the response has been so high that we have sold thousands of Nativities from hundreds of artisans since 2005. Profits are given 100 percent to charitable causes and micro-credit projects in Third World countries that benefit the poorest people on the planet. is to hover a moment between fly and fall. Last year I fell. Who knows what this year will bring? At this moment, however, the view is grand. I’m not limiting myself to Christmas this year, though that will play a significant part I imagine. I’m leaving myself, and you, free to explore the fanciful, the thought-provoking, and, most importantly, things that bring a little light into the dark months of December. Let’s celebrate! Shall we begin? Now the birth of Jesus Christ was on this wise. I found a post at Grammerly on the longest English words. This one caught my attention because it was quirdly (quirky in a wordly way) and it has to do with music, medieval church music to be precise. 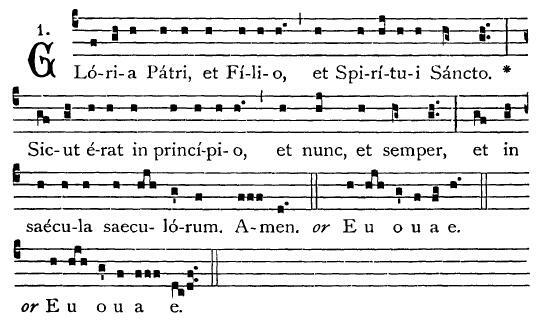 I have a thing for Gregorian Chant. One of my favorite carols. This version is visually beautiful, and the reverence with which it is performed was uniquely touching. I felt, possibly more than ever before, how sacred that first night was, how truly blessed was that moment of respite before a lifetime of relentless work and turmoil. Christ’s was a life spent on others, lived en route to an acknowledged death, unavoidable as all our deaths are, but unavoidably brutal as well. I wonder how often Mary looked back on the tenderly merciful memory of peace and joy, simplicity and safety, as she watched her son live the demanding life and die the ignominious death of His destiny. Watch Domingo’s eyes as he sings. Listen for the astonishing closing “Holy Night.” What I heard was “Hallelujah” in a tone that showed angelic reverence for Christ and what He willingly undertook for us. Source: Who Is My Neighbor? One friend’s thoughts on the Syrian Refugee Crisis. He has some interesting boots-on-the-ground experiences that have enhanced my understanding of the situation. We agree that “the worth of souls is great in the sight of the Lord” (D&C 18:10). ...because unfortunately this is as close as it gets in the muggle world.